What: A guided bus tour hosted by history raconteur, Marshall Shore, who shares the hidden history of these sites. 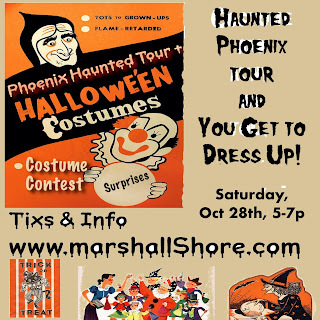 This special tour will inldude a costume contest and special suprises. 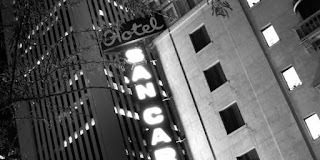 The tour will include a drive by of the historic Orpheum Hotel (Adams and Second Avenue), home to the mysterious female spirit who wanders inside; a visit to the Pioneer and Military Memorial Park, the final resting place to notable figures in Arizona history and folklore; a peek inside the ruin of the historic First Baptist Church on 3rd Ave and Monroe, which caught fire in the mid-80’s; a stop at the San Carlos Hotel, home to the ghost of Leone Jensen, who has haunted it's halls since 1928. 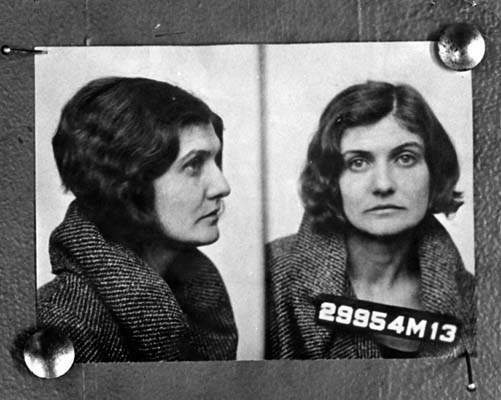 The book available on the tour is the first book published about Winnie Ruth Judd which was the Dobkin's book "Winnie Ruth Judd: The Trunk Murders" published in 1973 and recently republished with additional information. 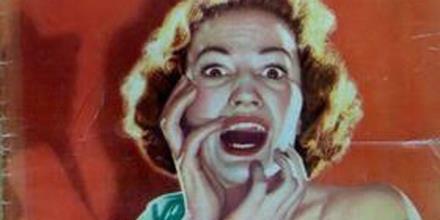 The book can be included in the price of the ticket or purchased on the tour. 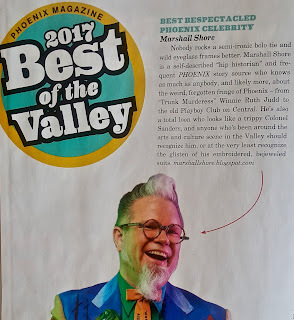 Thanks Phoenix Magazine for including Marshall Shore in the the '17 Best of the Valley. 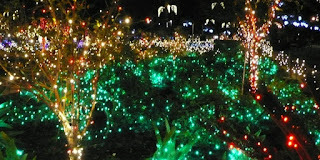 Highlighting the the Winnie Ruth Judd Tours, my love of the weird, wonderful and wacky that gives Arizona it's sense of self. 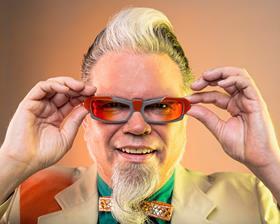 Also, recognizing my eyewear fetish and attention to detail of looking fabulous, in my own way! TEDxFountainHills (TEDxFH) will host TEDxFHSalon Fashion a TEDxFHAdventure on July 16, 2017. This exciting event, part seminar, part workshop and fashion adventure - will gather future visionaries, fashionistas, thinkers, (investors) and educators to discuss their ideas and dialog with the community about ‘Wearing Your Heart on a Light String’ and other ideas worth sharing on the edge of fashion technology. Key event speakers will include: Heather Kirk - The Weaves of Light and Life, Moheeb Zara -The Lost Art of Time in Fashion, Dustin Hoyman - Becoming a Fashion Insider - A Rocker’s Tale, Lisa Takata - Cultural Design in Native American Sheep Herding Traditions, Cody Matthieus - Wearing Your Heart on a Light String, and Sherri Barry -A Fashion Entrepreneur’s Dream Come True. 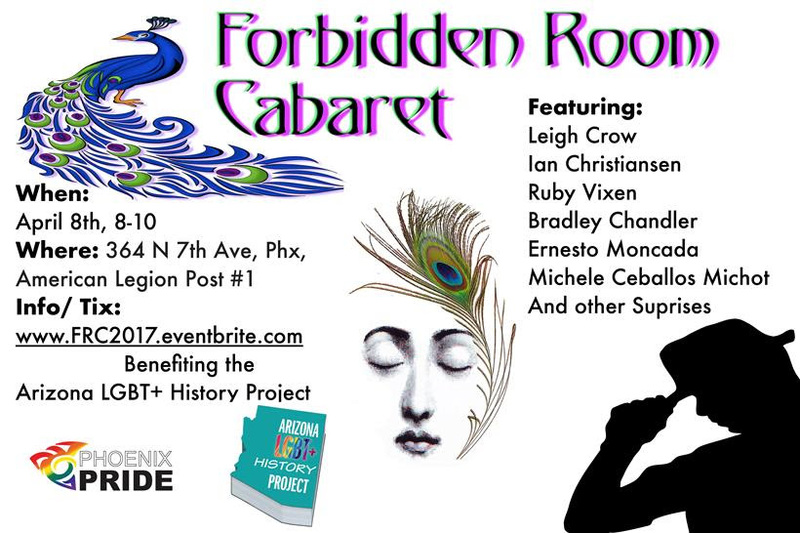 Sunday, July 16, from 11:00 AM to 3:00 PM at F.A.B.R.I.C., 132 E. 6th Street, Tempe, AZ 85281. Tickets are $25 for Pre-Sale, $35 General Admission. Pre-Sale tickets will go fast. Coming soon the Tour Schedule for July 16. Get excited! You never know who might be your F.A.B.R.I.C. Tour Guide. All highly sought after and professionally trained guides by your own @HipHistorian Marshall Shore, Adventure Leader , Curator Extraordinaire, #TEDxFH. U.S. Route 66, known as the “Mother Road,” was built in 1926. It ran from Chicago to L. A. During the depression of the 1930s, it became the major path by which people migrated west, seeking work, warm weather and new opportunities. 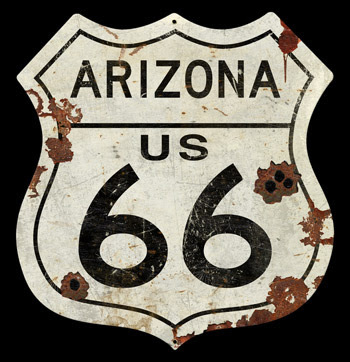 Shore shares the history of Route 66 in Arizona, including the impact it had on the state during its prime, and what happened when the interstate ultimately bypassed some of the towns that drew life from the road. This multi-media presentation includes music, video clips, still photos, and Shore’s storytelling magic. Made possible with support from the AZ Humanities. The rise of car travel in the 1940s, 1950s & 1960s meant that thousands of people were traversing the broad expanses of the Southwest looking for new landscapes and adventure. 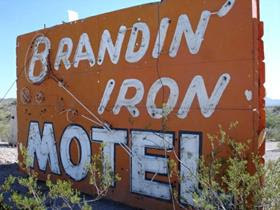 As the cars sped past, restaurants, motels, curio shops and gas stations needed large, bright signs to make an impression. 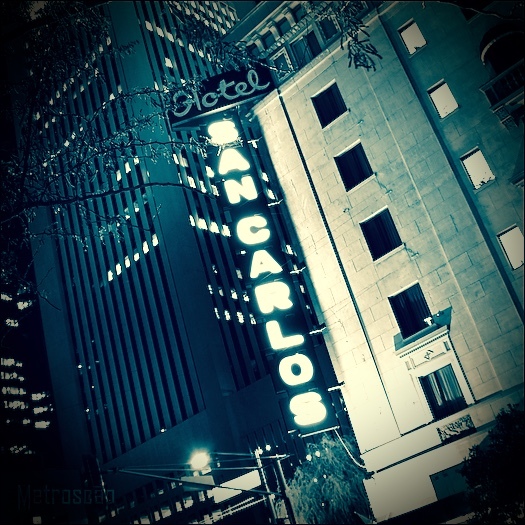 This informative and entertaining visual presentation explores the social significance of the rise of commercial neon signs, and references the designers whose signs became iconic images that defined the West in the age of the automobile. 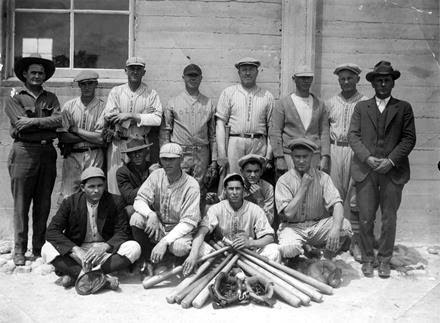 Hear about the East Valley’s baseball past, while you compete with other trivia enthusiasts at this inaugural event. 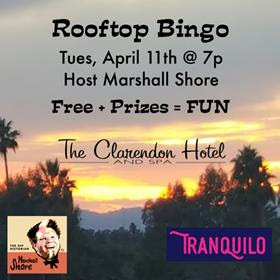 Have a night out with friends enjoying delicious local craft drinks, amazing food and the outrageous fun that is Marshall Shore. 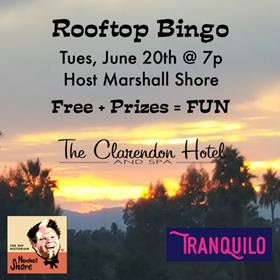 Compete with a trivia team of four or six. Reserve your spot today. 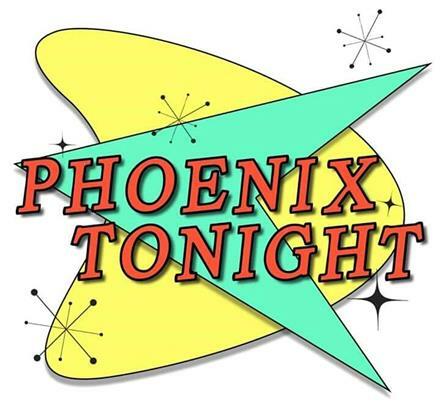 Doors will open at 6:30pm with Trivia starting promptly at 7pm. 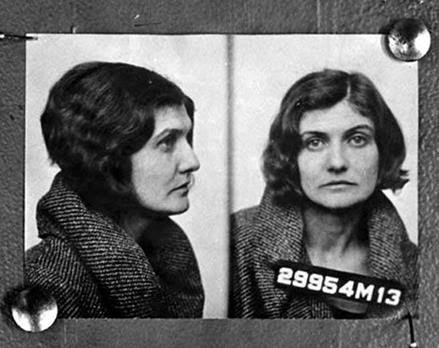 More information at chandlermuseum.org . 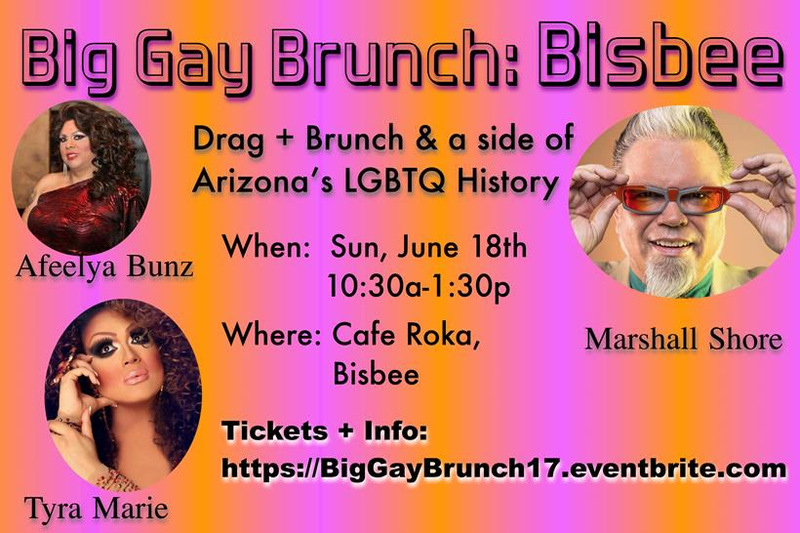 Join us for an educational workshop about Lesbian, Gay, Bisexual, and Transgender (LGBT+) History in Arizona with Marshall Shore (Hip Historian). Also, learn how to preserve personal archives and local history for future generations with Nancy Godoy (Archivist from Arizona State University). Free archive kits will be distributed! 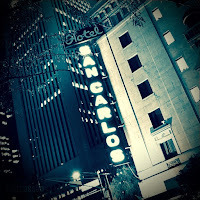 Join San Francisco legend Brad Chandler, aka Chad Wrangler, aka Miss X! 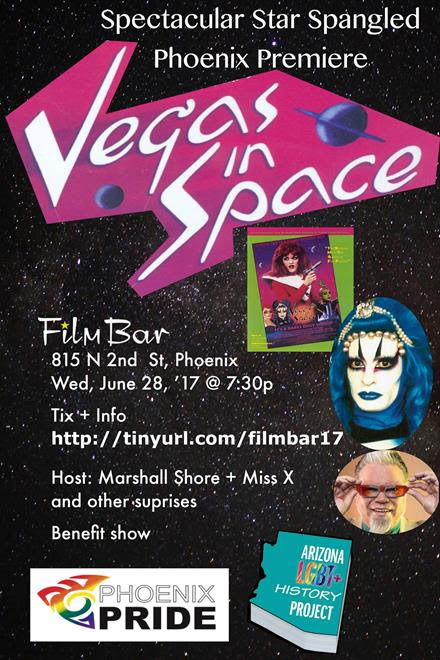 Founding member of San Francisco’s drag troupe Sluts A Go Go, Brad is writer, star and producer of the Troma film, Vegas In Space. 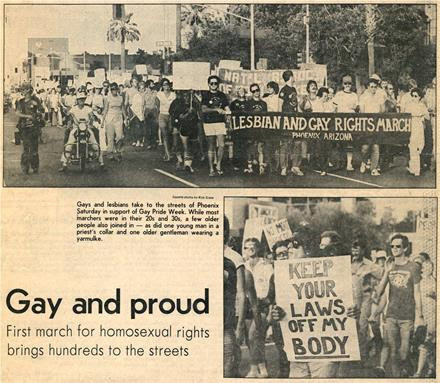 The event is a fundraiser for the Arizona LGBT+ History Project, an initiative to preserve stories and other archival materials that document the Lesbian, Gay, Bisexual and Transgender (LGBT) history in Arizona. Celebrate LGBTQ Pride Month with Phoenix's own Hip Historian Marshall Shore as he shares the story of Arizona's LGBTQ History. 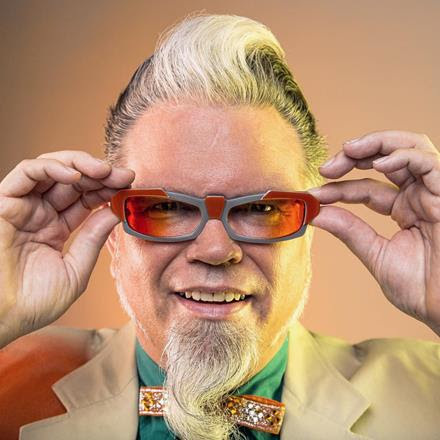 From pre-statehood to present day, Shore will use storytelling magic, found film footage and photos, ephemera, and artifacts to bring our state's LGBTQ heritage to life in an entertaining and educational presentation. Supported by the Friends of Phoenix Public Library Ironwood Chapter. 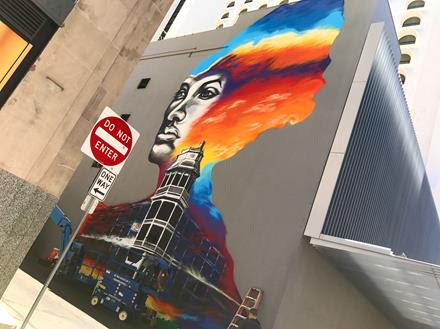 This June Third Friday, come see downtown’s bold new mural, enjoy a cocktail on us, and hear about the colorful character and namesake who inspired this piece. Join artists Hugo Medina and Darrin Armijo-Wardle, Downtown Phoenix Inc., and Renaissance Hotel for a dedication and cocktail reception at the mural, which now graces the alley behind the Renaissance Hotel. Enjoy complimentary refreshers while you hear from the artists and mural project supporters. After, we'll head down to the speakeasy bar Melinda’s Alley for an after party with hosted appetizers and cocktails, and little-known narratives of the mural's namesake, Malinda Curtis, as told by Marshall Shore, Phoenix's resident Hipstorian. 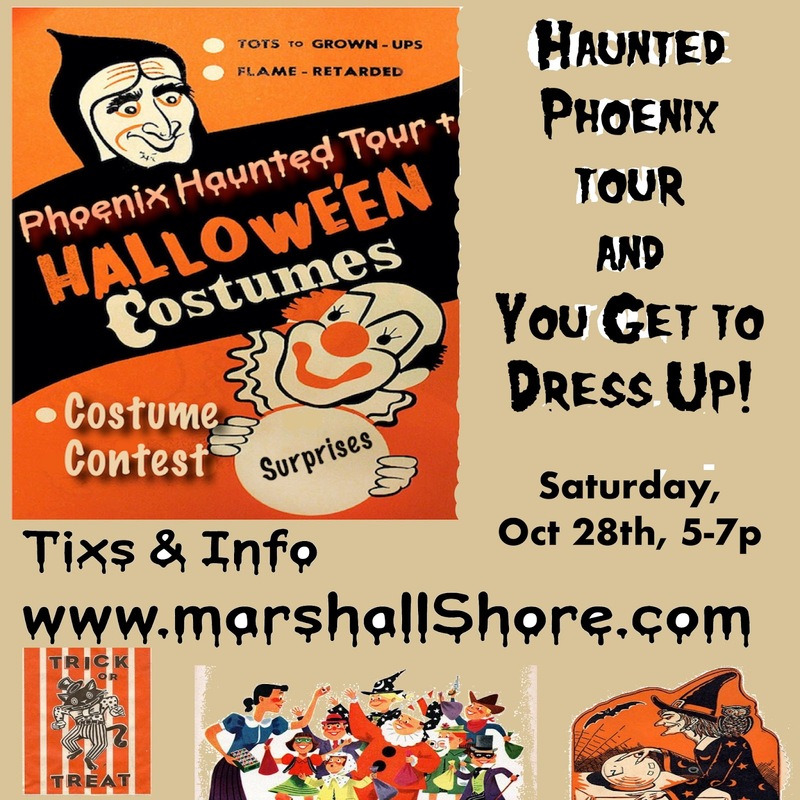 Marshall Shore talked about what led to the population boom in Phoenix, Arizona, and surrounding towns such as Tempe following World War II. 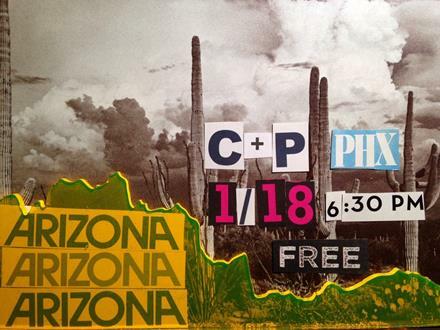 FREE collage night hosted by Cut + Paste PHX at Zinnias at Melrose! This is our first themed event: all things Arizona. BYO beer/drinks, Arizona Highways magazines, AZ maps, postcards and scissors. We'll have plenty of other magazines and glue sticks to share. Tickets are only $5 at the door, but the entertainment will be a priceless memory!